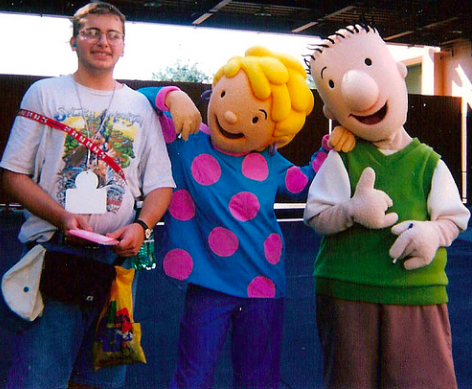 Costumed characters are often considered to be the ambassadors to a theme park. Over the years I have had endless discussions about how there are very few “laws” about how characters are represented and even then, those laws are often broken and become guidelines at best. 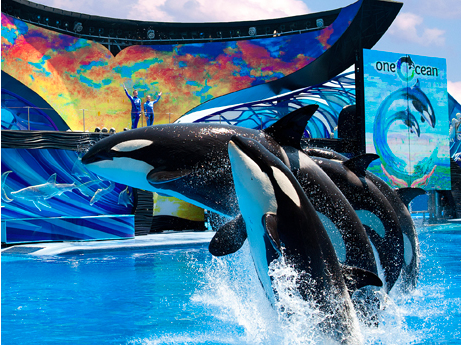 Let’s start at Sea World where guests can see killer whales majestically jumping out of tank and moments later…. … they have miraculously grown feet and are covered in fur. Let’s not forget that having them out of the water for extended periods of time could kill them, but I digress. …. 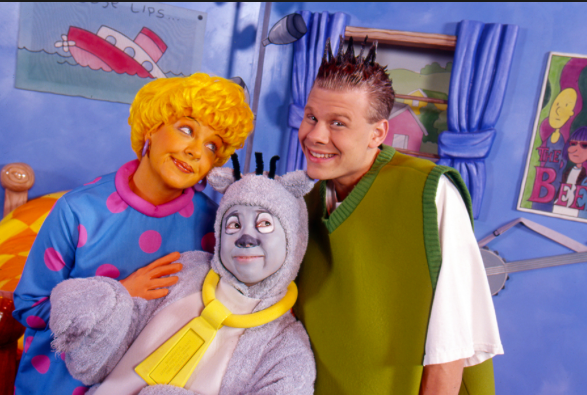 or this more lifelike one pictured here. Maybe you’re more into Popeye? Do you prefer fiberglass or skin with prosthetics? …. 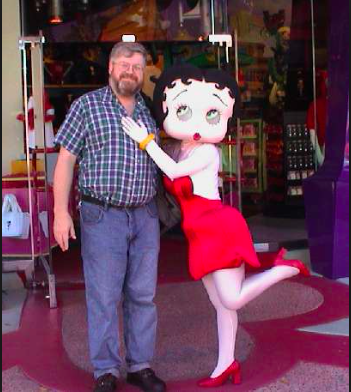 and walk out and take your picture with Doug looking like this. There are also size issues as well. MuppetVision 3-D is a classic and portrays the same characters Jim Henson featured on television and in movies for years. For a while, you could go right down the street in the same park and see a completely different show called Here Come The Muppets. 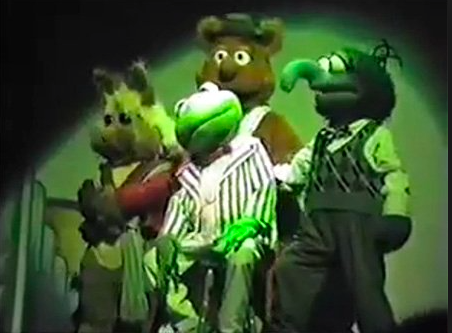 Kermit and the gang looked much taller and far less animated. … and other times she has feet. Which Ariel do you prefer? 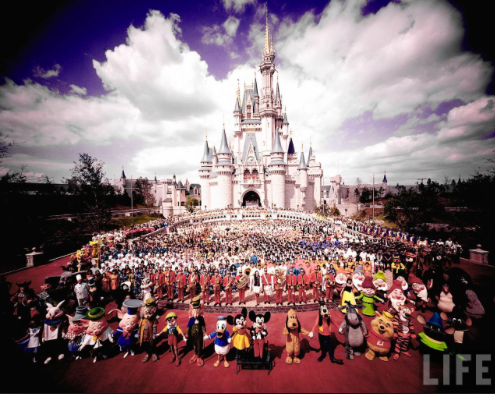 Then you have the issue of characters from different movies (and thus, different time periods) all getting together for a photo shoot or a parade. 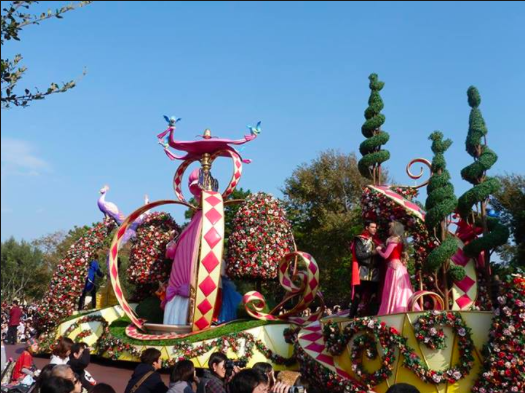 The princess float for Festival of Fantasy was well designed where each prince and princess gets their own section. I was told this was deliberately done because all of these movies are separate, therefore they shouldn’t be able to see each other on the float or make eye contact. 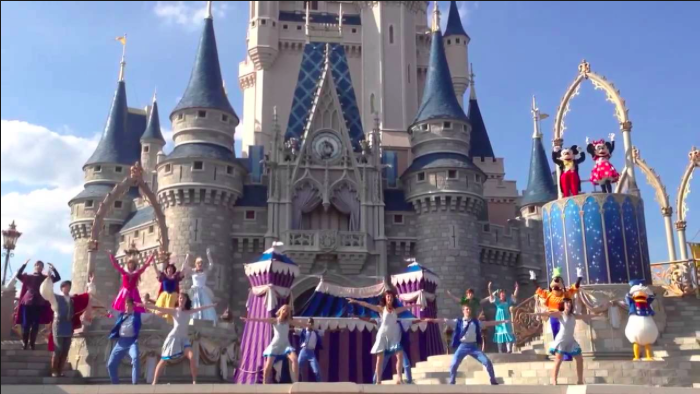 Which sounds like a pretty ingenious design until you catch a performance of Dream Along With Mickey…. …. where they all stand side-by-side anyway. Mickey and his pals have no problem chatting and singing with full mouth and eye movement for these shows in front of Cinderella Castle. This is consistent when you meet him backstage further down Main Street where he can have a conversation with you. Yet, if you meet him later for dinner at Chef Mickey’s, he is saving his voice for the movies and can’t talk. Which is nothing compared to the meet-and-greet at Universal Studios where Donkey chats up a storm and Shrek just stand there and waves. Or how about that time when “Modern Family” did an episode inside Disneyland where Dylan got a job as a character (Little John) and talked as himself from within the costume. While you can scoff that this is strictly forbidden in ANY character situation, this show was produced for ABC which is owned by Disney. My guess is if you pointed any of these inconsistencies out to a theme park employee, you can get all sorts of answers to justify these differences and preserve the magic. Even those answers are often inconsistent in themselves! At the end of the day, the characters all live in a theme park and all know each other in this magical place. 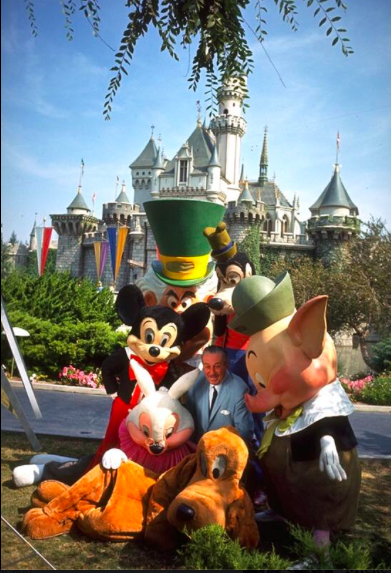 If you think that none of this would have happened in Walt’s day, I ask you to reconsider. Your thoughts? Make sure to follow Theme Park University on Twitter and like our Facebook page! Doing any online shopping? Click on any Amazon link on this page and it helps TPU pay the bills and costs you nothing extra! This entry was posted in Disney, Theme Parks 101, Universal and tagged costumed characters, face characters, fur characters, Modern Family, Shamu, Shrek, Talking Mickey. Bookmark the permalink. Trackbacks are closed, but you can post a comment. First, you need to state what are the laws or guidelines that should be followed because we can agree or disagree. 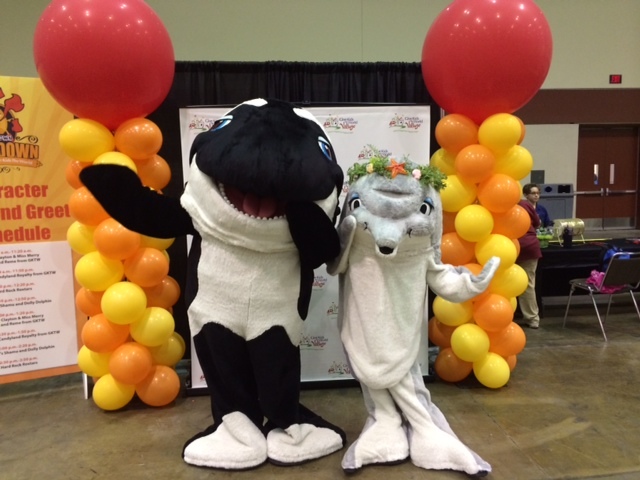 Shamu and dolphins are the animals, but why can’t we have a meet and greet with a character? There is no need to stretch out a backstory to explain it away. 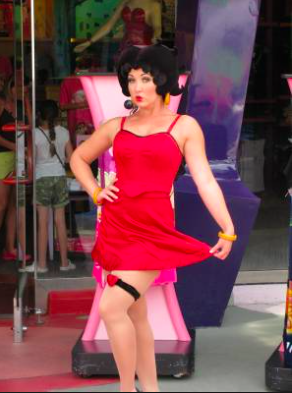 Betty Boop in the flesh is always how the Disney Princesses were represented. There’s consistency with this approach instead of the stuffed animated version. 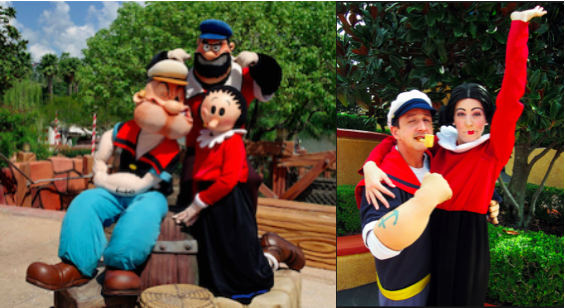 Popeye and Olive Oil are represented by both the animated cartoon and the live action movie starring Robin Williams. Same thing with Doug. So why not both? 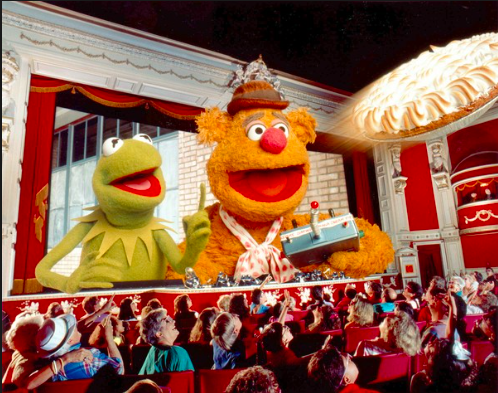 The Muppets are more animated in the movie than in a live action theater show. I’m wondering how we can make it more consistent without breaking the bank and the laws of physics. 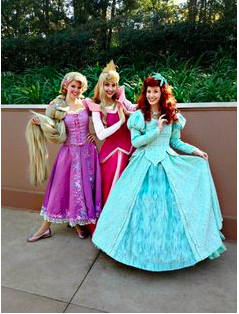 Back to Disney Princesses, Ariel can’t move around with fins on. 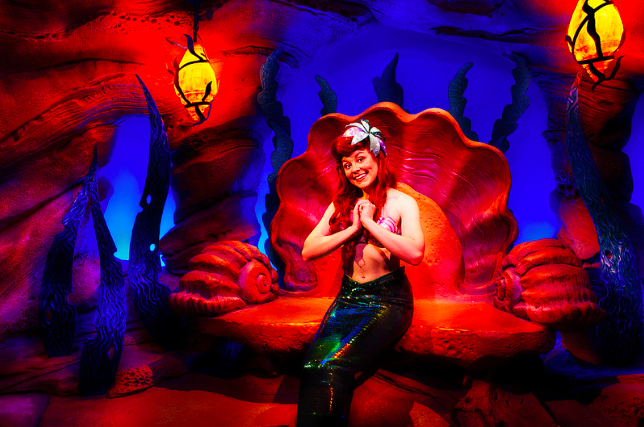 And Ariel fans can’t take a picture with her fins and visit her grotto if she’s wearing a dress. Disney Prinesses can’t see each other in the parade, but they can on a stage show. I think we should respect what the creatives are trying to do in each medium. I seen the talking Mickey. It is quite impressive. This needs its own dedicated room to pull-off. 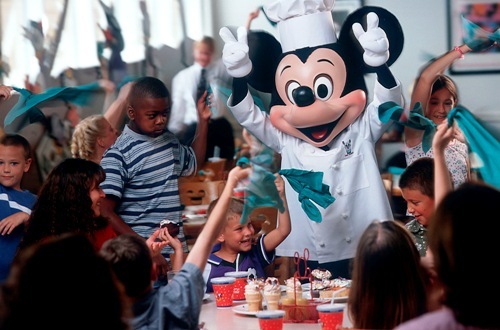 You can’t do this at Chef Mickey, but of course, it is a limitation that could be removed when the technology matures. Again, you see inconsistency, I see place and technological limitations. Asking a theme park employee is inconsistent in itself. They aren’t the ones making the decisions and they aren’t being paid enough to understand why some guests care about this.